In the summer of 2018, Mars will come as close to earth as it has last been 15 years ago. This book offers extensive expert knowledge for all hobby astronomers who want to observe and document this spectacular drama. Which telescope is appropriate? How can you take the best photos with a tripod or telescope? How can you record and publish your own observations? 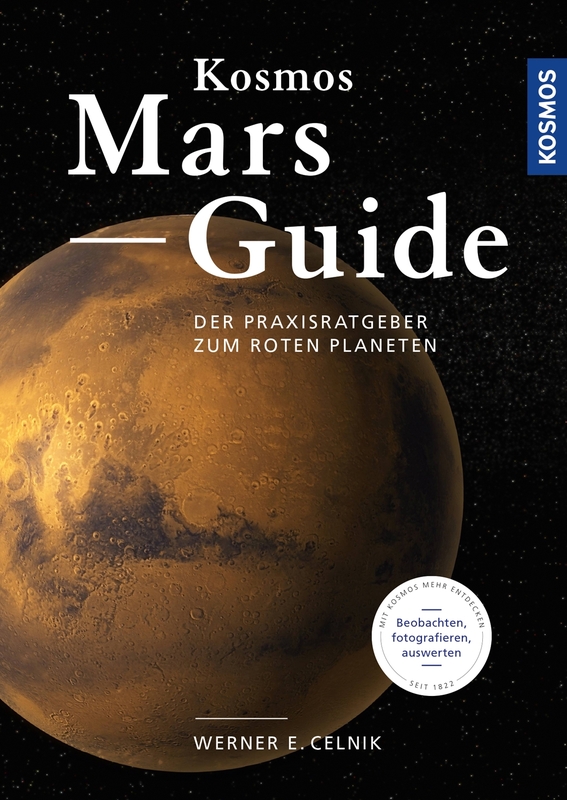 The practical instructions are supplemented by celestial charts and an extensive calendar of Mars highlights for the next 10 years. Werner E. Celnik is an astrophysicist and hobby astronomer. He offers seminars for astronomy beginners and is the author of numerous astronomy books, among them the Kosmos bestseller “Astronomy for Beginners”.